UST operator training in Maine is required by federal law and is intended to ensure that those who own and operate underground storage tanks understand how to operate and maintain UST systems properly. Maine Class A operators have primary responsibility for on-site operation and maintenance of a UST facility. This individual is generally the owner of the station or the designee. For large corporations, this person is the manager or designee responsible for tank operations. Maine Class B operators have responsibility for the day-to-day aspects of operating, maintaining, and record keeping of a UST facility. This individual (or individuals) is generally the owner or the person/company contracted by the owner to maintain the tanks. For large corporations, this person is the employee, or person/company contracted by the corporation to maintain the tanks. Maine Class C Operators are the first responders to emergency situations at a UST facility – like a gas station or convenience store. These individuals are usually the clerks of a facility. The Maine Department of Environmental Protection (DEP) – Bureau of Remediation and Waste Management – Underground Storage Tank Program has been designated to protect public health and the environment through oversight, investigation and cleanup of soil and groundwater contamination caused by releases from USTs. The Maine Department of Environmental Protection’s underground oil storage tank program is responsible for protecting public health and the environment, in particular groundwater, by preventing oil discharges to the greatest extent possible. The Maine Department of Environmental Protection (DEP) – Bureau of Remediation and Waste Management – Underground Storage Tank Program has been designated to protect public health and the environment through oversight, investigation and cleanup of soil and groundwater contamination caused by releases from USTs. The Maine Department of Environmental Protection’s underground oil storage tank program is responsible for protecting public health and the environment, in particular groundwater, by preventing oil discharges to the greatest extent possible. Federal regulations and Maine law required UST facilities to have trained operators by August 8, 2012. For a facility that is manned during all times that the facility is operational, the owner shall designate a Class A, Class B and Class C operator. A certified Class A, B or C operator shall be present during all times that the facility is operational except for unmanned facilities as provided below. 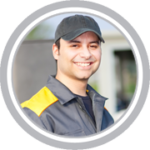 In addition, a certified Class A or B operator must inspect the facility at least weekly. 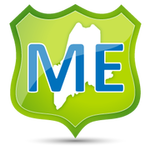 Maine was granted state program approval (SPA) in 1996. All designated Class A, B and C operators must be retrained and recertified every two (2) years or is a UST facility is out of compliance with applicable statutes and rules. We offer online UST operator training in Maine for: Portland, Lewiston, Bangor, South Portland, Auburn, Biddeford, Sanford, Augusta, Saco, Westbrook, Waterville, Brunswick, Orono, Presque Isle, Brewer, Old Orchard Beach, and many more! Portland, Lewiston, Bangor, South Portland, Auburn, Biddeford, Sanford, Augusta, Saco, Westbrook, Waterville, Brunswick, Orono, Presque Isle, Brewer, Old Orchard Beach, and many more!